Sound Transit Auburn Parking Structure | Cary Kopczynski & Company, Inc. 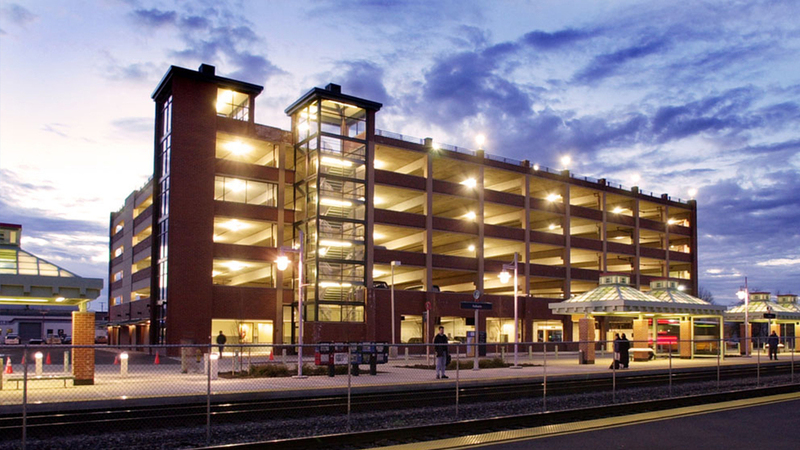 Located at the downtown Commuter Rail Station, the Sound Transit Auburn parking Structure is a freestanding six-level garage with commercial space at street level. The 562-car facility utilizes efficient and cost-effective long span construction. The structural system is a hybrid of precast columns and beams with cast-in-place shear walls and decks. The building facade incorporates brick, glass, and other materials to coordinate with the rail station and architecture of downtown Auburn. The project was completed several months ahead of schedule and received high praise from the Sound Transit project management team.